If you are in need of support, guidance and help in your self-healing journey, a team of Therapeutic Touch Practitioners has volunteered to donate their time to support you in your self-healing journey. If you need assistance in healing a dis-ease, clearing and emotion, quieting a negative thought or manifesting your dream, we are here to help you. Healing will be sent long distance. This is a GIFT for you. Simply fill in the following request form. Your information will automatically be forwarded through this website to our team of TT Practitioners who will each send you healing energy to support you in your self-healing journey. Note that you will not receive an individual email response. By checking this box you agree that www.ttnq.ca can share your information entered on this form with our team of TTPractitioners, who will each send you healing energy to support you in your self-healing journey. 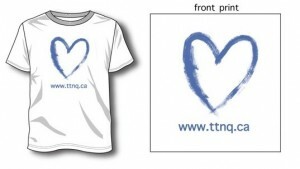 TTNQ has available for you high quality cotton T-shirts printed with the Violet Heart design. Help promote the awareness of Therapeutic Touch by purchasing and wearing our custom designed T-shirt. They are available in small, medium and large at only $10.00 per item, taxes included. 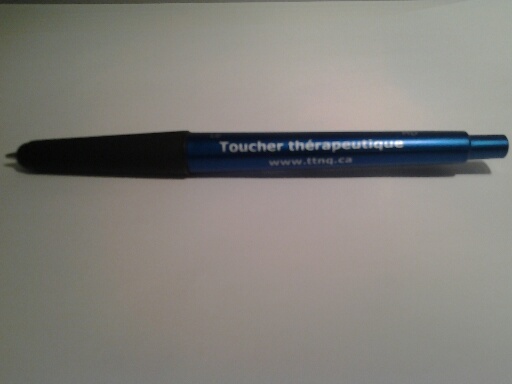 PEN WITH SPECIAL TIP FOR IPADS, TABLETS, SMART PHONES. This special pen enables you to select items on your ipad, smart phone and/or touch screen. 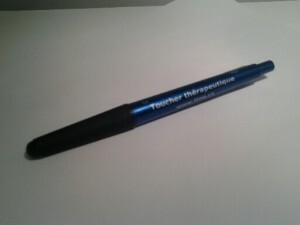 The pen is blue with black ink and a medium tip for excellent writing on paper. It is available for only $4.00 including taxes.